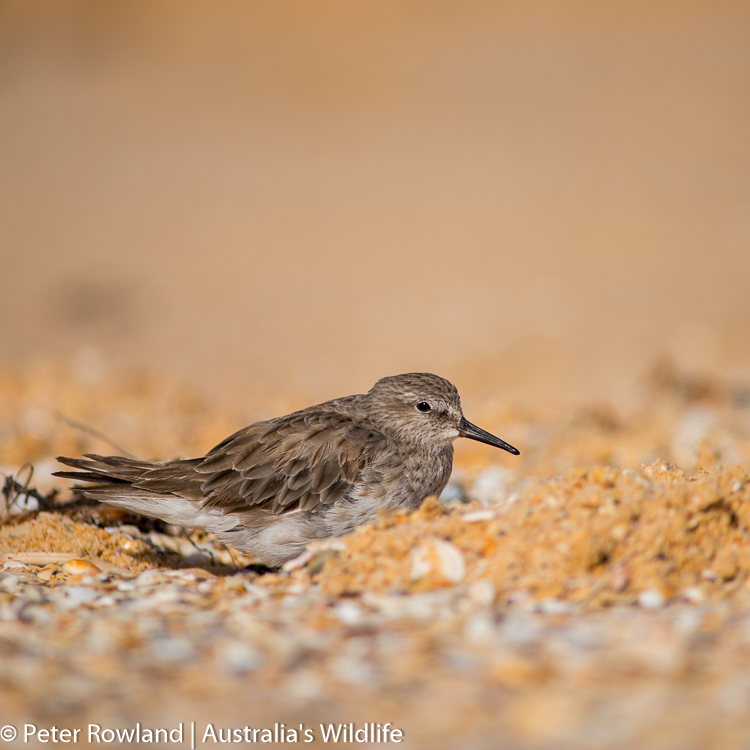 In January 2015, one such rare visitor was the White-rumped Sandpiper. 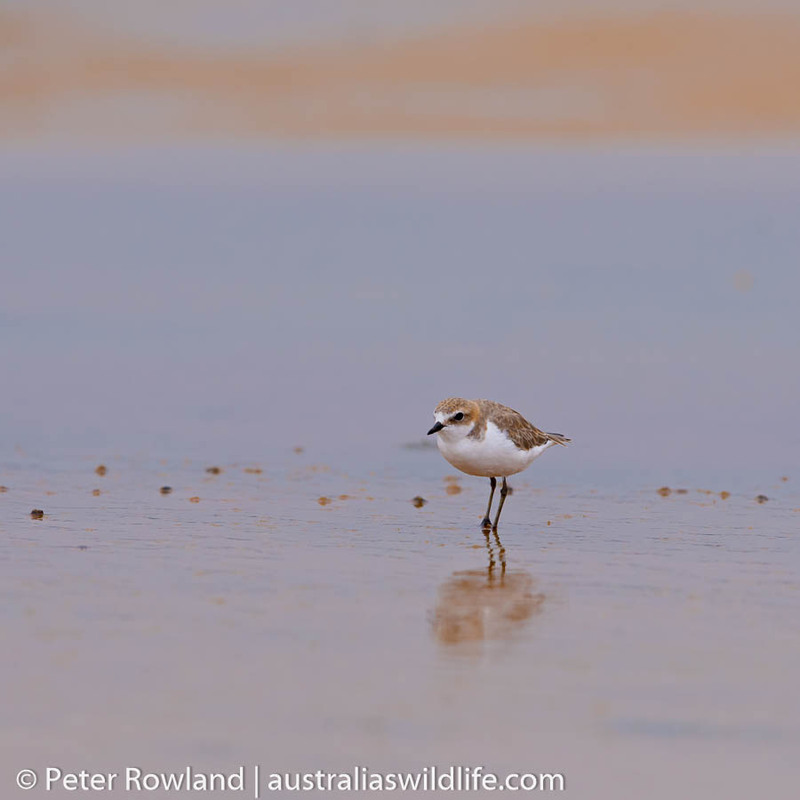 This small wader has only been seen in Australia just a handful of times, so it was no surprise that, when one turned up, birdwatchers traveled from all over Australia to try and get a glimpse of it. It was really supposed to be in South America, but must have wanted to see the Australian beaches instead; and, why not, they are some of the best in the world! So how did this rare visitor end up here? This is a a map of the regular flyways that migratory birds take. Our White-rumped Sandpiper must have got on to either the West Pacific or East Asian – Australasian Flyway instead of the Pacific Americas Flyway way up in Alaska. 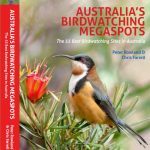 The last time a White-rumped Sandpiper was seen in Australia was in 1977, so there was naturally a great buzz of excitement in birding circles about this small bird’s visit to the Australian shores. We went to the area on three separate occasions to see it and get some images for the upcoming books. On the first occasion we just missed it, as it literally flew off 5 minutes before we got there. On the second trip we got some really good looks at the bird, but the weather was very overcast and gloomy. 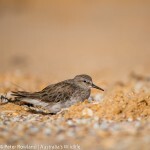 On the third visit to the site, we were well and truly rewarded with great weather, the bird resting on the beach in full view and some very pleasing images. We spent just a couple of hours there on the third trip, but made the most of our time, and the the most of the favourable conditions. 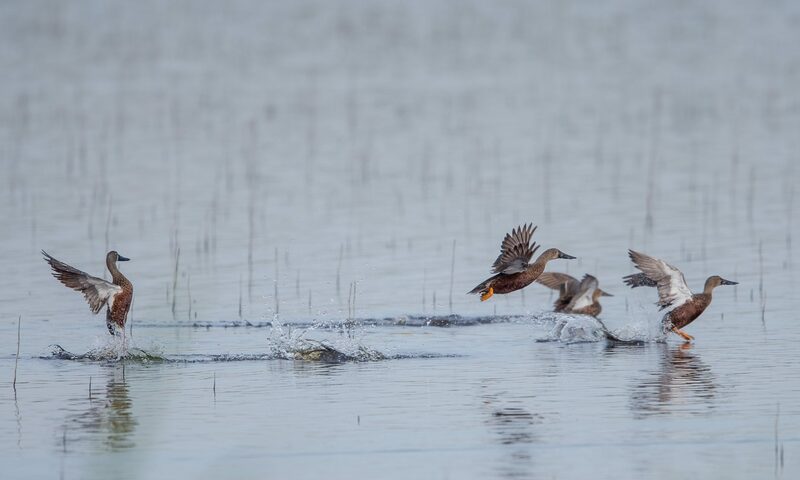 While we were there, we were also treated to some really good sightings of the more regular birds in the area, including Little Tern, Red-necked Stint, Fairy Tern, Red-capped Plover and Pied Oystercatcher. This area has become one of our favourites, and we will be visiting it regularly from now on in the hope of sighting another rare visitor – we’ll keep you posted!